Keith Urban releases Weinstein-inspired song "Female" (VIDEO). 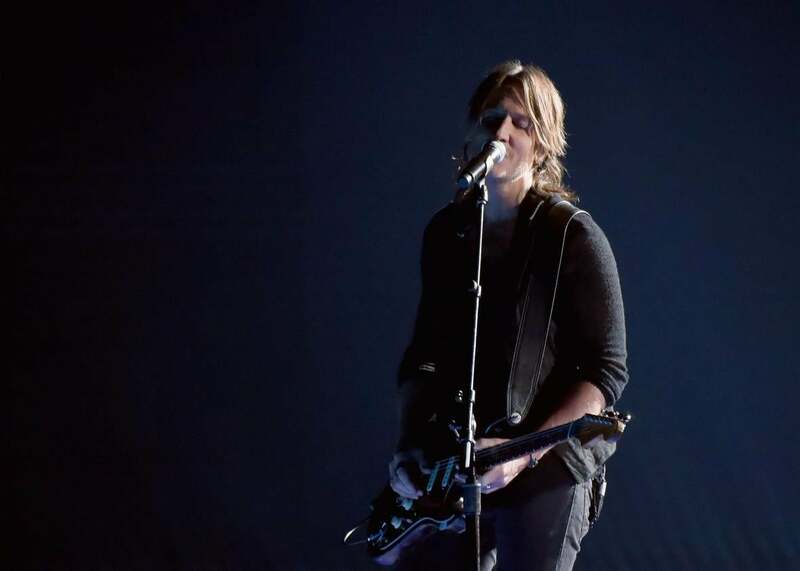 Keith Urban performs onstage at the 51st annual CMA Awards on Wednesday in Nashville, Tennessee. Keith Urban weighed in on #MeToo at the surprisingly political Country Music Association Awards on Wednesday night, where he performed his new song “Female.” The song was penned by a trio of writers—Ross Copperman, Nicolle Galyon, and Shane McAnally—shortly after the Weinstein scandal first broke as a response to women who have felt marginalized. Urban in particular has good reason to be invested in the situation in Hollywood right now given that his wife is actress Nicole Kidman. Urban told Billboard that the song impacts him “as a husband and a father of two young girls and as a son—my mother is alive.” In addition to singling out his (living!) relatives, Urban also pointed out that he employs a number of women on his team. “It just speaks to all of the females in my life, particularly.” It’s worth noting that “Female,” the song’s title, is a bit of a loaded term—some women find it degrading when used as a noun, as Urban does—but hey, maybe Urban didn’t want to encroach on Kesha’s territory by calling the song “Woman”? What’s most significant here is that this song is coming from a prominent country music artist and was performed on country music’s biggest night. Urban is speaking to a genre where women still receive significantly less radio airplay and chart lower than their male counterparts just two years after “Tomato-gate,” in which a consultant openly advised radio stations not to play two songs by women in a row, calling them “the tomatoes of the salad,” a descriptor which, mercifully, did not make Urban’s list of things that are female. You can listen to Urban’s full song, below.